Set 1 TBSP of oil or butter in a pan over medium heat. Set 1 cup of water to boil. 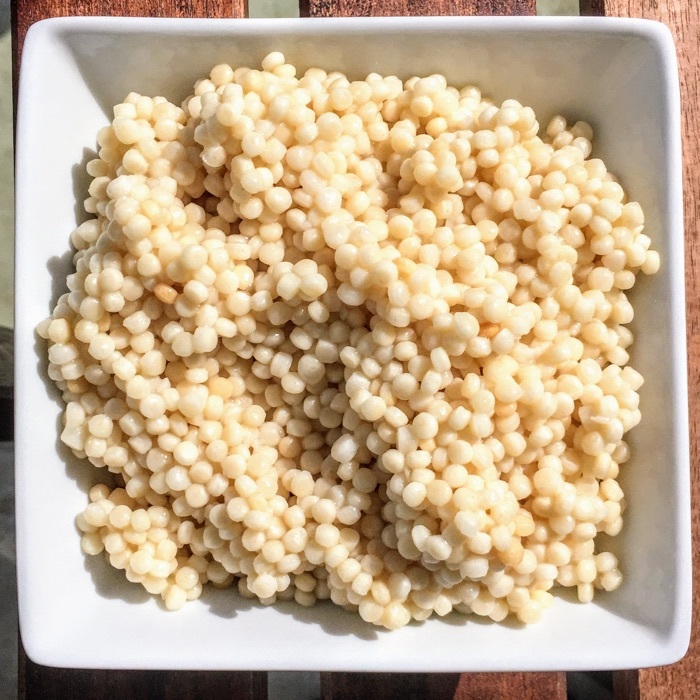 Once oil is hot or butter melts, add in 1 cup of couscous. Cook until it smells toasty. Add boiling water to couscous, remove from heat and cover for 12 minutes.